Indie popsters The Deprivations roll into Gulpd (Cork) on Thursday for a cosy acoustic show. Prior to that, songwriter and singer Mr. Boland let's rip a playlist of epic west Ireland proportions. 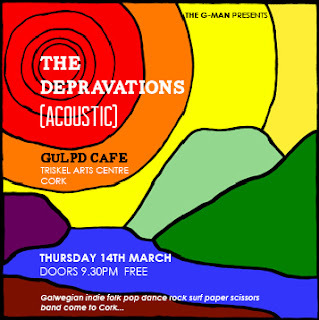 This is a list of Galway bands that you might enjoy or at least are worth knowing about, beginning with my own band The Depravations. This is a song about perennial under performing soccer man Aiden McGeady. In keeping with the partisan and somewhat self promotional theme of this playlist, I present to you Rural Savage which contains Mosey and Jay, rhythm section of The Depravations. An interesting insider fact about this video? The puke used was a combination of cuppa soups and soft drinks. Mosey's joint second band, in terms of importance to me and my ruthless ambition. They're his number one band in terms of his own, quite hefty, desires. The first Galway band I ever loved. 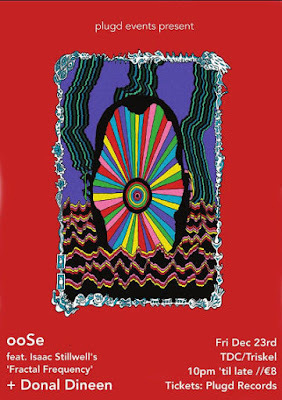 They reformed a couple of years ago for this special once off Citóg show which I was happy about. Hugely talented collection of freaks My Fellow Sponges created this insanely good video. In one take. Backwards, I think. 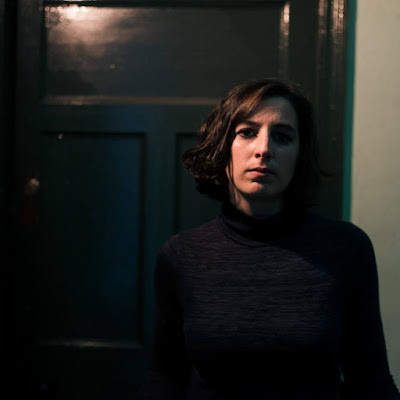 Currently busy getting famous over at SXSW, So Cow are the great Galway hope. And, of course, when they make it in the big time they'll come back to town and make us all famous together. Oh how we'll laugh. A nice creepy one to round us up to ten. The Depravations released Onwards, Westwards earlier in 2013. Download the album over on bandcamp.